Rev. Larry A. Miller is pastor at First Lutheran Church. He is a 1983 graduate of Concordia Theological Seminary, Fort Wayne, Indiana with a Master’s Degree in Divinity. He has been at First Lutheran Church in Helena since December of 1994. Rev. Miller was formerly pastor at Christ Lutheran Church in Mustang, Oklahoma. Pastor Miller has been involved in many facets of the Lutheran Church—Missouri Synod. He has been a member of LCMS district evangelism committees and served as site coordinator for the Oklahoma District Great Commission Convocation. He was the LCMS Circuit Counselor for the Oklahoma City Circuit. 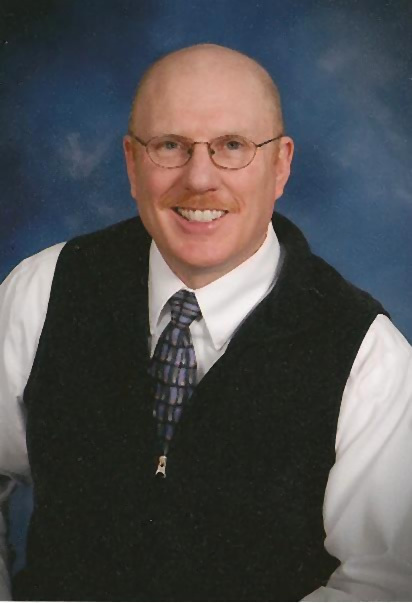 He has served as the pastoral counselor of the Montana District Lutheran Laymen’s League (LLL) and the Montana District Lutheran Women’s Missionary League (LWML). He was elected to a four-year term as national Lutheran Women’s Missionary League pastoral counselor. Rev. Miller is a published author of worship services, articles and devotions for the LWML. He has also co-written a Bible study about worship published by Concordia Publishing House. Pastor Miller considers it a privilege and joy to serve His Savior and Lord at First Lutheran. He enjoys teaching Bible study and confirmation classes, as well as preaching the Good News about Jesus in the Helena community. He particularly cherishes the visits he is honored to make on church members and visitors in their homes, in nursing homes, and in the hospital. Rev. Miller has been married to Shari (nee Juergensen) since August of 1979. They have two children: Joshua and Johanna. He enjoys singing and playing a variety of instruments.